Pomegranate Punch – Really? 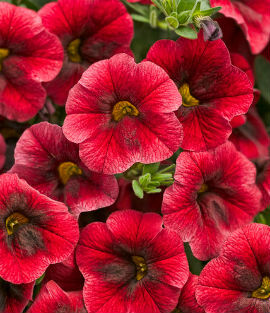 | Faddegon's Nursery, Inc.
Rich, velvety red flowers with a black throat and a striking yellow eye. 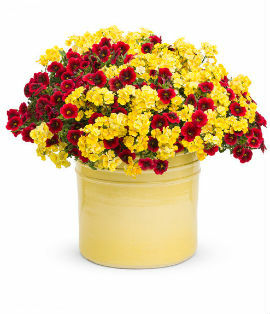 This beauty is perfect in combinations, or on its own in window boxes, hanging baskets or patio containers. Superbells offers superb heat tolerance and will hold its color all season long.